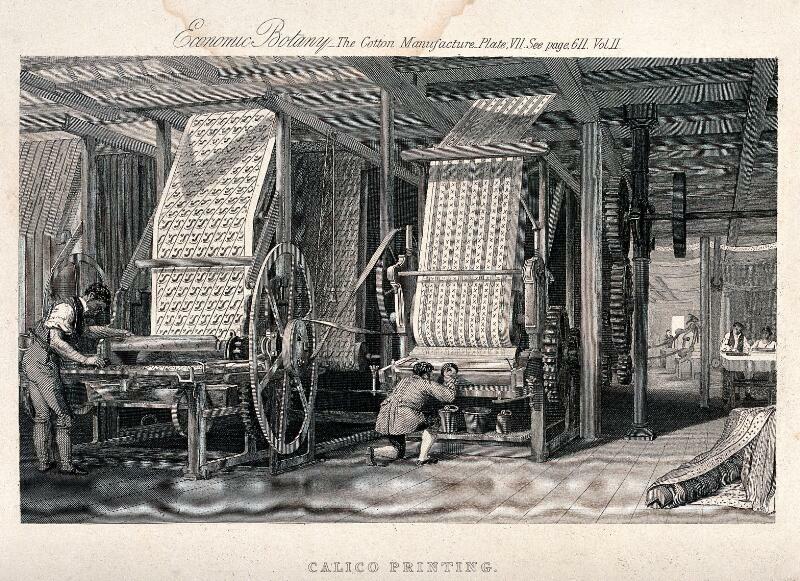 Textiles: men working at large fabric printing machines. Engraving. 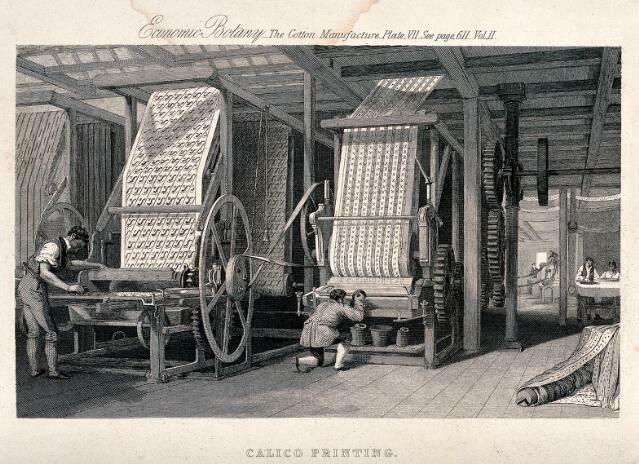 Calico printing. Economic Botany - The Cotton Manufacture. Plate VII. See page 611, Vol.II.